Choosing colours for a small bathroom like a cloakroom or ensuite can often be tricky. In this article, we’ll show you the best colours to choose, to create the illusion of space. Small spaces bring their own unique challenges, especially when redecorating and refurbishing. One of the quickest and easiest ways to refresh a cloakroom or ensuite is to give it a brand new colour scheme. So, which colours should you consider and which should you avoid? Take a look at this 50 second video for some quick pointers. As smaller bathrooms typically receive less natural light than other rooms in your home, try avoiding saturated or dark colours. Handy hint: Find out how to use a colour wheel where I explain colour jargon like “saturation” and “tints”. As a starting point, Craig & Rose 1829 snowdrop paint gives you the option of using white without it feeling cold and unwelcoming. If you’re in the mood for something darker, try Craig & Rose 1829 ammonite grey. Combine this with the snowdrop white to create some high contrast areas. The lighter grey will still provide a bright and airy feel. And, for a little colour, try Craig and Rose 1829 elderflower cordial. This is the perfect way to recreate a taste of summertime all year round (see below). One common mistake many DIY enthusiasts make is using regular household paint in their bathrooms. 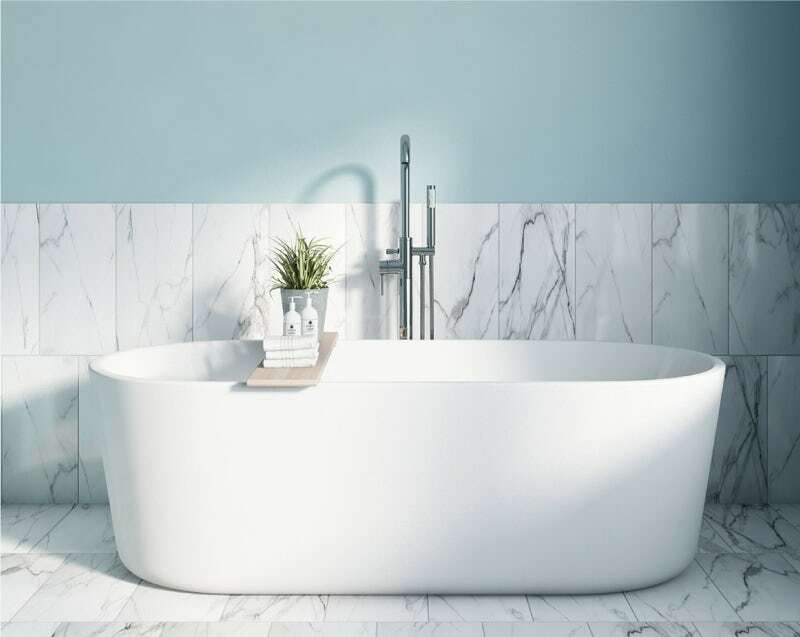 As bathrooms, by their very nature, can be damp and humid spaces, you need to make sure you choose a specialist bathroom paint. Craig & Rose is the UK’s oldest paint manufacturer and one of the most respected. With Craig & Rose 1829 bathroom paint, you’ll discover a huge variety of stunning colours, each one bursting with character and individuality. These high quality water-based paints come with an anti-mould formula for specific use in bathrooms, plus a low level of VOCs (volatile organic compounds). To complete your small bathroom paint job, check out our range of Hamilton Prestige rollers and paint brushes, for superb coverage and a quality finish. Shop bathroom paint now. For more bathroom colour inspiration, simply click on any of the links below. For more ideas for small spaces, like cloakrooms and ensuites, head to our Small Spaces hub by clicking on the banner below. Nicky is our resident Stylist and loves bringing new and exciting bathroom trends to life. Nicky’s passion for design led to a 1st class degree in Surface Design & Textiles, before earning a reputation as a home stylist in London. Introducing our brand new range of delectable kitchen and bathroom paints. Made by Craig & Rose, the most experienced paint manufacturers in the UK, the 1829 brand is exclusive to VictoriaPlum.com, comes in 19 on-trend colours and can be used throughout your home. Struggling to decide upon your bathroom colour scheme? 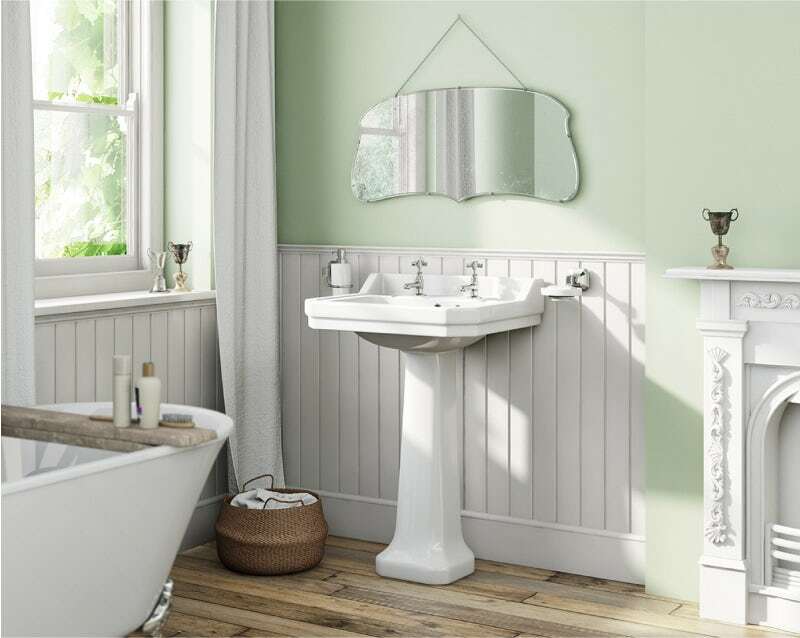 Our Stylist Nicky will take you through her top 6 bathroom colour ideas for 2019. In our latest "Get the Look" style guide, we'll show you to get creative with colour to produce a bathroom that is bright, bold and cheerful.